Abdul Rauf Alam, on March 22, 2016 expressed grave concern over depletion of water resources terming it the greatest threat to the survival of country and harm the industrial sector. Pakistan depends heavily on annual glacier melts and monsoon rains. Water from these sources flows down the rivers and out to the sea. These glaciers are melting due to climate change while rivers are drying leaving many to rely on ground water, which has been reducing the water table. The country is already water-scarce, therefore Government should immediately move to settle disputes over dams without which future of the country seems bleak as demand and supply gap for water has reached alarming levels, he added. Abdul Rauf Alam said that climate change, decreasing glaciers and forests has been depleting groundwater in almost all the parts of the country. He said that different areas have been witnessing reduction in water table, which has increased the cost of pumping water through tube wells making life difficult for farming communities. He said that scarcity of water is to hurt entire agricultural chain creating problems like unemployment, food security and closure of industries. 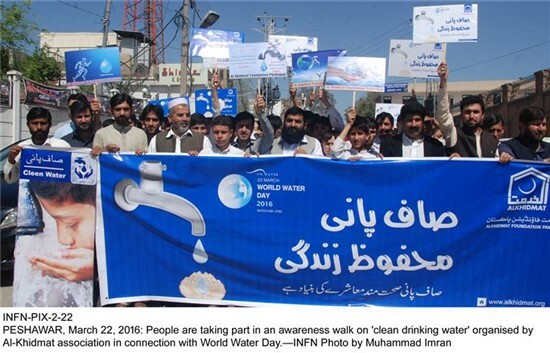 Almost 145 million acre feet (MAF) water passes annually through country of which only 14 MAF could be stored enough for one month while international standard stood at 90 days of storage. The country’s population would be 250 million by 2025 and the demand for water would be at 338 billion cubic meters (BCM) while availability would be 236 BCM creating many challenges. Pakistan has the largest contiguous irrigation system in the world. However, owing to the poor state of infrastructure, about two-thirds is lost due to poor transmission and seepage.